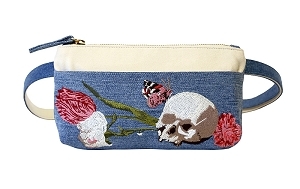 So excited to announce the launch of our new, sustainable vintage collection! 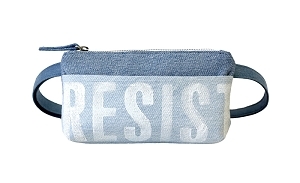 Our most sustainable belt bags yet, these babies are made with 100% upcycled, vintage denim and organic cotton lining, and of course, they're made locally right here in Los Angeles. What's upcycling and why does it matter? Americans send 10.5 million tons of clothing to the landfill every year. We're consuming at a highly unsustainable rate at which even charities like Goodwill and Salvation Army can't keep up with the amount of clothes being donated to them. That's why when we were designing our new collection, we wanted to be even more mindful of the fabrics we sourced and that's why we turned to upcycling. Upcycling is a form of recycling that repurposes materials that are otherwise designated for the landfill, turning them into something of higher quality with environmental value since no new waste is created. First, we hand select vintage denim jeans based on quality, color and condition. Once the jeans are clean (using eco-friendly detergent, of course) we lay them out to be cut. 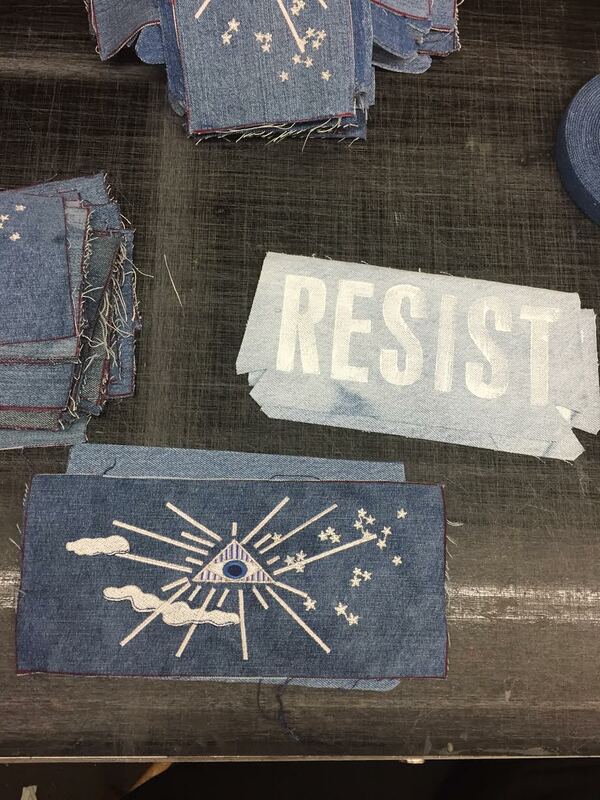 Because vintage denim jeans do not come on rolls like most fabric we use, each piece must be individually cut by hand. Although this is a time consuming process, it is the most eco-friendly way to source fabric. The process of upcycling fabric uses minimal water (for washing) no harmful chemicals, gases or dyes and saves fabric from the landfill. 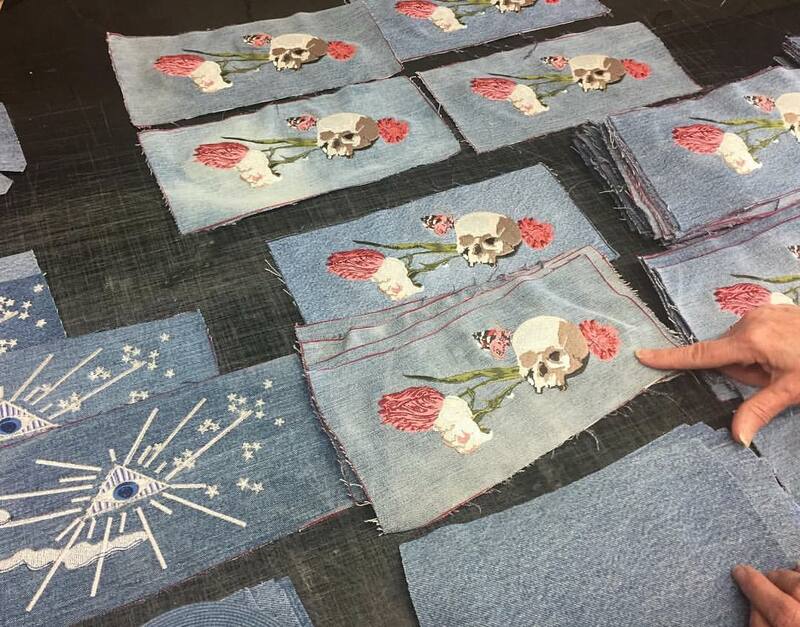 Second, we plan out our designs for embroidery-- first, drawing mockups of our artwork and carefully selecting thread colors we want, then after finalizing our designs, we take it to our master embroidery craftsman in downtown Los Angeles. When the embroidery and hand-stamping is complete, our bags are finally sewn together by our family of skilled artisans just a few miles from our office in Los Angeles, where they enjoy clean, safe, and pleasant working conditions and are paid a fair living wage. 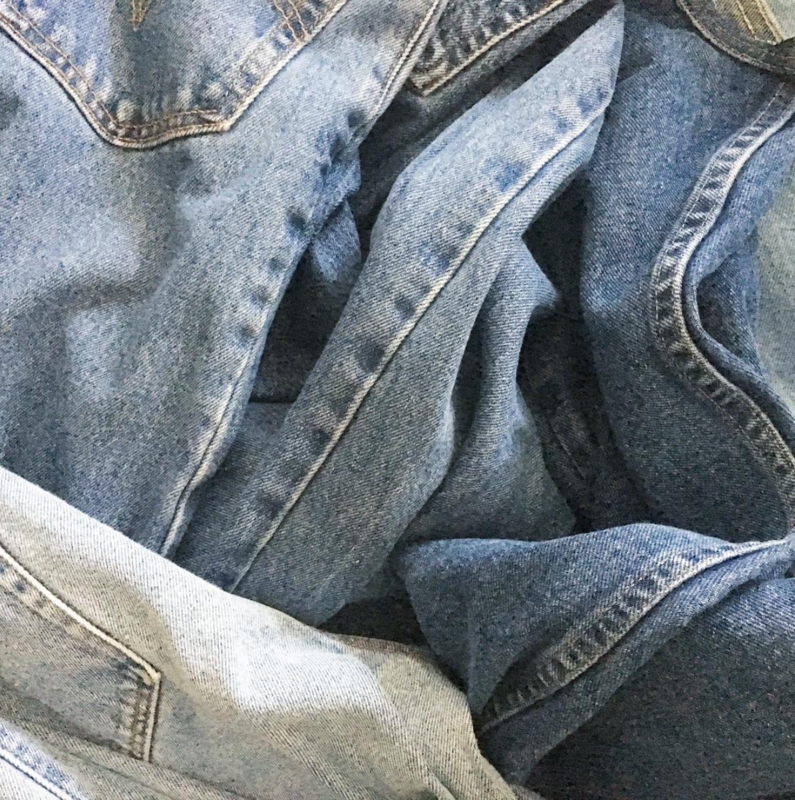 When finished, we pick them up and ship them out directly to you and their new loving homes, where these old, denim jeans enjoy a happy, second life. 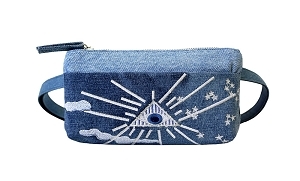 Because the selection of vintage denim for each bag is slightly different, no two belt bags will be the same and each is an individual work of art. Yes, you can hang it on the wall, but only when you're not wearing it.